Hotel Ajwa has spacious interiors with simple designs that provide a refreshing stay for all kinds of travellers. The rooms are airy and have minimalistic furnishings, with large wardrobes where guests can comfortably store their belongings. The walls are bright and the furniture contrasts in dark tones. Big mirrors in the room add to the appeal and look. The bathrooms have a marble-look, with the shades complimenting the decor of the rooms. 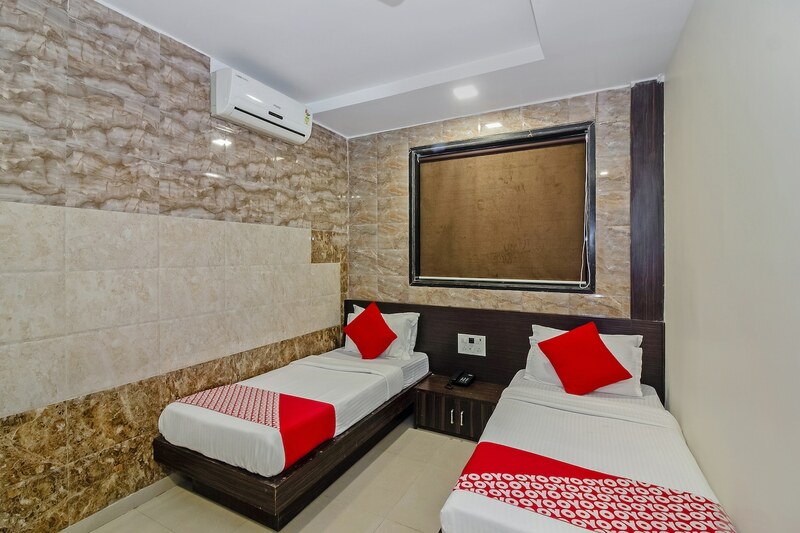 The hotel provides free WiFi connectivity and also has laundry service. Card payment is accepted by the hotel and CCTV cameras are in place for overall security. The hotel is located close to the Asalpha metro station of Mumbai metro, making it easier to traverse the city..